One of the more common things people need to do is transfer files from their mobile device or tablet to their desktop. Sometimes it’s a photo, sometimes it’s a song, and many other times it’s some sort of document, presentation, or other file that needs transferred. There are actually quite a few ways to transfer files from Android to PC (and back again) and we’ll take a look at them here. Here are some more app lists that might help you out! 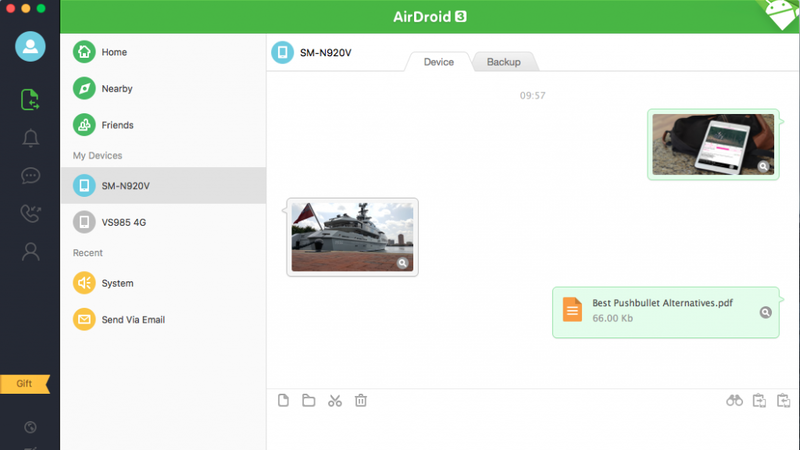 AirDroid is one of the more popular apps to transfer files from Android to PC. It can do other stuff too. The features include sending and receiving SMS/MMS from your PC, see your device notifications, and much more. It can even find a lost phone, control the camera, and use apps. You’ll also be able to transfer files to your computer from your phone. You get the basic stuff for free. You’ll have to subscribe to the service to get everything. It’s not perfect, but it works well. Cloud Storage is an excellent method to transfer files from Android to PC and back again. There are a variety of services to choose from, including Dropbox, Google Drive, OneDrive, Box.com, and others. Transferring files is easy enough. You upload the file to cloud storage on one device. You then download it on another device. Most cloud storage apps have their own dedicated apps. That makes the process easier. 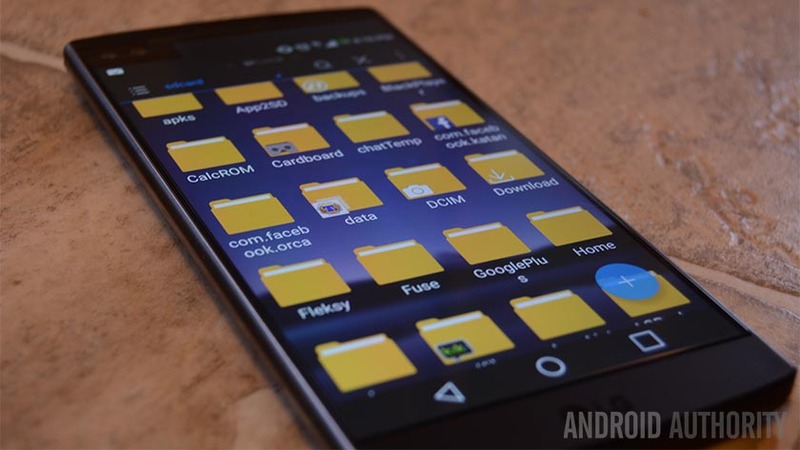 We have our best cloud storage apps list linked up toward the top of this article. Feem is a simple app that does one thing very right. It transfers things from devices connected to the same WiFi network. That includes mobile phones, tablets, computers, laptops, or whatever else. Each device simply downloads Feem and runs it. From there, you can transfer whatever you want to and from those devices. The WiFi doesn’t need to be connected to the actual internet. A local network is all you really need. It’s simple, effective, cheap, and the Material Design looks nice. ShareIt is another app in this same style that does well. Pushbullet is one of the best apps to transfer files from PC to Android and back. It can do a bunch of other stuff as well. That includes sending and receiving SMS/MMS messages, sharing your clipboard between devices, check notifications, and of course, file transfers. It isn’t as complex as some other services. However, this one just works. The free version gives you enough to send the occasional text or transfer small files. The pro version nets you all of the features. It goes for $4.99 per month. Resilio Sync (formerly BitTorrent Sync) is kind of a wildcard. It works a lot like cloud storage. However, the cloud storage server is your own desktop or laptop. You can sync as much data as you’d like, transfer files back and forth at will, and a lot more. It should support Mac, Linux, and Windows as well. It’s definitely among the more secure options. Your stuff is never on a cloud server. It’s just your phone and your device talking to each other. The app is entirely free with no ads and no in-app purchases. This is the one we’d recommend first. It takes a bit to set it up, though. If apps aren’t your deal, there are still some other ways to transfer files from your PC to Android and vice versa. Use Bluetooth – If your laptop has a Bluetooth module or if you have a Bluetooth dongle for your desktop or laptop, you can pair your device with your computer using Bluetooth and send files that way. The transfer rates are very slow. You’ll want to only use this solution for small files. You probably don’t want to use this for stuff like large videos or lots of files at once. USB On-The-Go – USB OTG cables allow you to connect your device to USB devices such as mice, keyboards, and external hard drives. That also includes flash drives. You can use the cable to transfer documents to your flash drive or external hard drive or off of those things on to your Android device. They’re also relatively cheap on sites like Amazon and eBay. Share to email – This only works with small files like photos or documents, but you can send most types of files over email. Most emails have a limit of around 25MB for attachments. It’ll work for the occasional photo. Share to chat – This works for a number of file types, especially if you use something like Discord, Slack, or Skype. You send yourself the file in a chat on one device and retrieve it on another. This should work for smaller files like photos. Skype and Slack have support for things like PDF files, archived (zipped) files, and other document types as well. It’s quick and it works fine for smaller stuff. Use your data/charging cable – This one is fairly obvious. Just plug your phone into your computer using the USB cable that comes with your charger. It should work for most stuff. Your micro SD card – Devices with micro SD card support can transfer files much like flash drives. You use a file manager app to move the files to the SD card, pop it out of your phone (after turning it off, of course), and then use an adapter to put it into your card reader on your laptop or a different adapter to connect it to your computer’s USB drive. You can find adapters for both variants easily on Amazon. If we missed any of the best methods or apps to transfer files from Android to PC, tell us about them in the comments! You can also click here to check out our latest Android app and game lists!